The 2018/19 FIS Freestyle Skiing and Snowboard World Cups continue this weekend in Modena, Italy, with the second Big Air competitions of the season following September’s event in Cardrona, New Zealand. 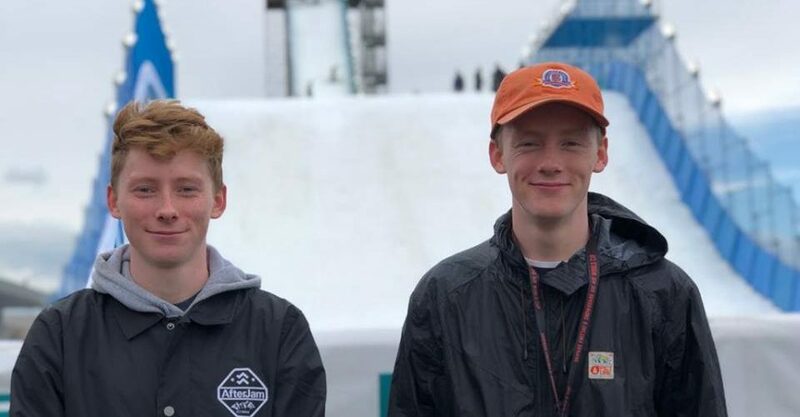 The GB Park & Pipe team will be represented by the McCormick brothers, with Matt competing in Saturday’s Snowboard competition while younger brother Chris will line up on Sunday for the Ski Big Air. The Skipass trade industry event in Modena is celebrating its 25th anniversary and will this year also host the World Cup on the biggest jump ever constructed in Italy. Matt McCormick has been one of the busiest athletes on the GB Park & Pipe squad over the past two seasons, competing in 14 World Cups including five in 2017/18. Matt’s acceleration to the upper echelon of the sport saw him travel with the Winter Olympic team to PyeongChang as a reserve in February. In the corresponding event last year (held in Milan) the 21-year-old was seventh in his heat (and 19th overall), just two places outside what would have been a maiden World Cup Final appearance. He has three World Cup top-20s to his credit, including two in Big Air. Brother Chris, 20, won the national Ski Big Air and Slopestyle titles at The BRITS earlier this year and had a breakthrough season in 2017/18 when he had his first taste of World Cup action. He made the first of his four Slopestyle World Cup appearances in Cardrona, New Zealand, going on to record his best result at Seiser Alm, Italy in March where he was 31st. Following a summer training block in Australia which included victory in a FIS event at Perisher, Saturday will mark Chris’ first World Cup start in Big Air. The finals of both events will be broadcast on Eurosport UK from Saturday 5:30pm (Snowboard) and Sunday 4pm (Ski).